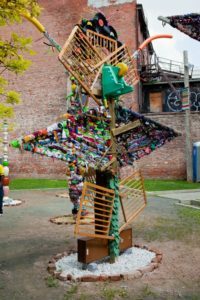 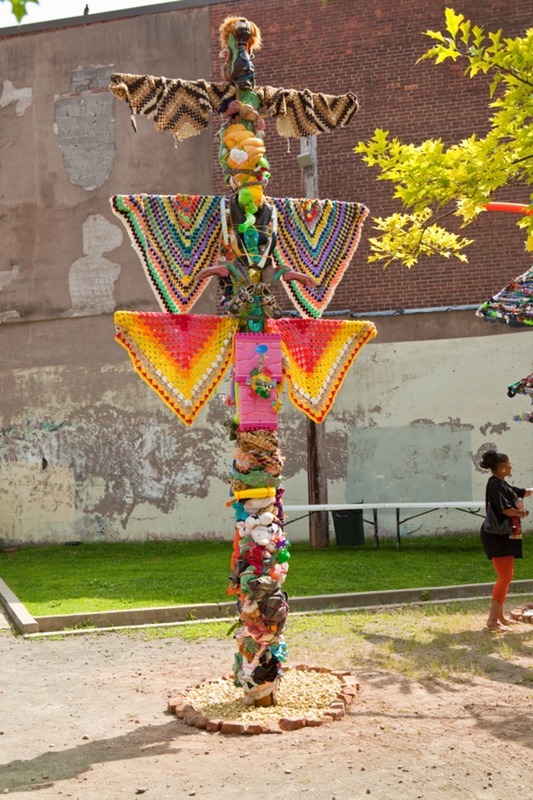 Babel Collections is a series of five totem poles ranging from 5 to 18 feet high comprised entirely of recycled materials collected from local thrift stores by the artist, Artspace staff, a Yale public service fellow, and local high school appentices. 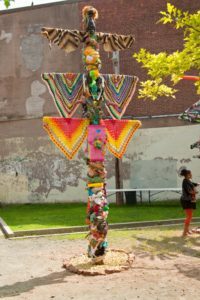 Throughout the month of July, Salas and her team scavenged New Haven for disused household materials ranging from baby cribs to hand-knitted crocheted throws to mid-century living room lamps that the team disassembled and reconfigured into fantastical totems that enlivened The Lot–a local transit park near the Artspace gallery. 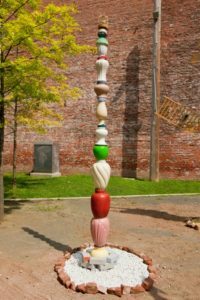 With their curious textures, vibrant colors, and imposing scale, Salas’ sculptures capture the attention and imagination of passersby. 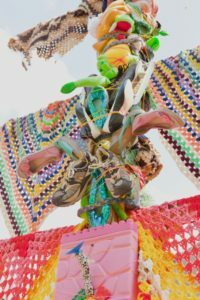 They provoke engagement, raising questions about the private act of consumption, and its cumulative effects, which Salas displays publicly, in grand fashion.